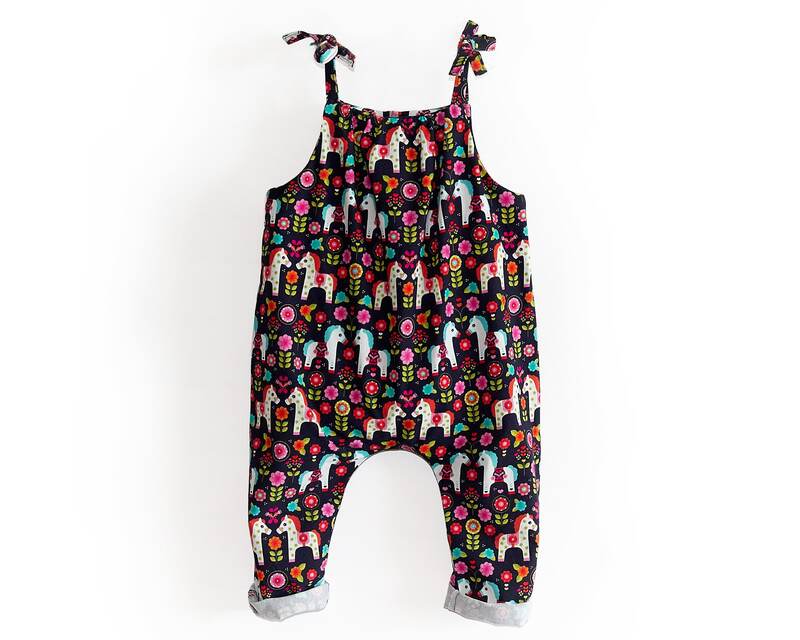 Easy to sew romper sewing pattern for baby and kids, with ties on the shoulders and no snaps at the crotch. 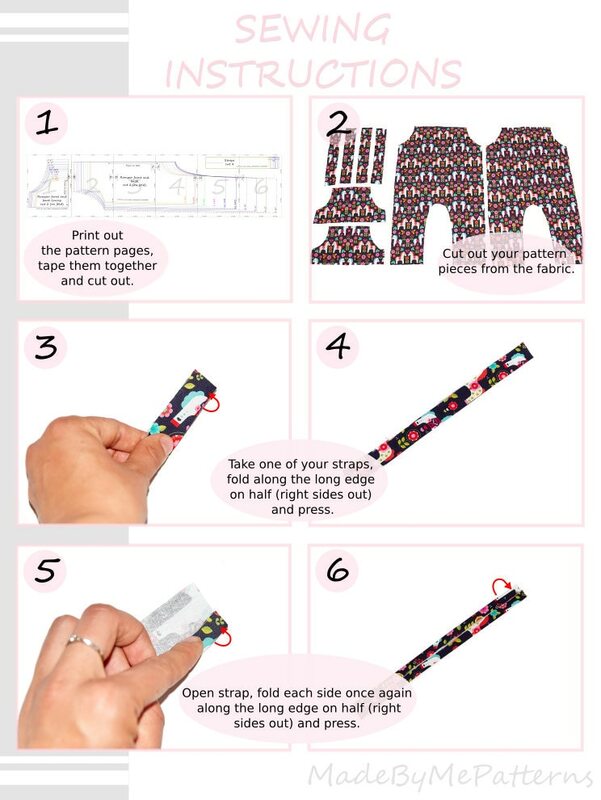 This pattern has real color step-by-step instructions. Stitching lines are diagrammed right on the photos, so you never need to guess where to sew. No need for a serger for this pattern. 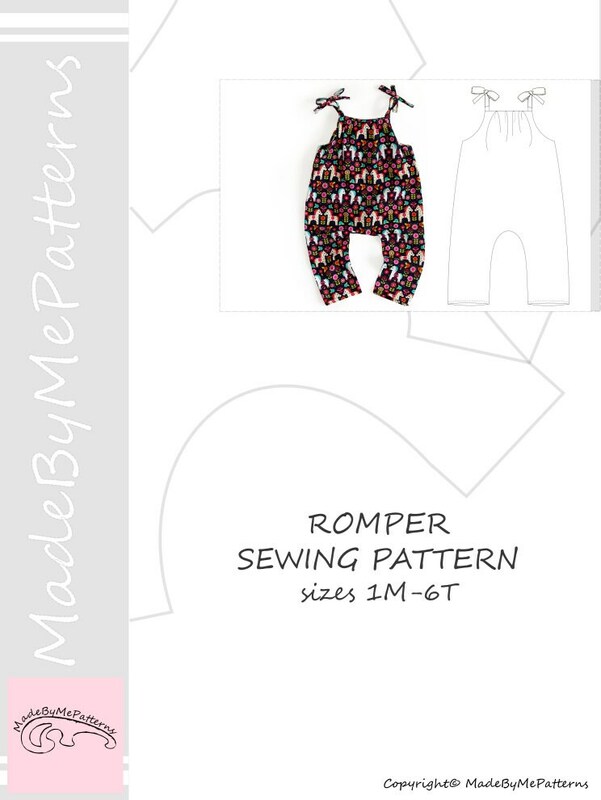 The romper pattern includes sizes from 1 month to 6 years. -light or medium weight woven fabric (cottons, cottons blend, linen, lightweight denim). Great pattern once again! 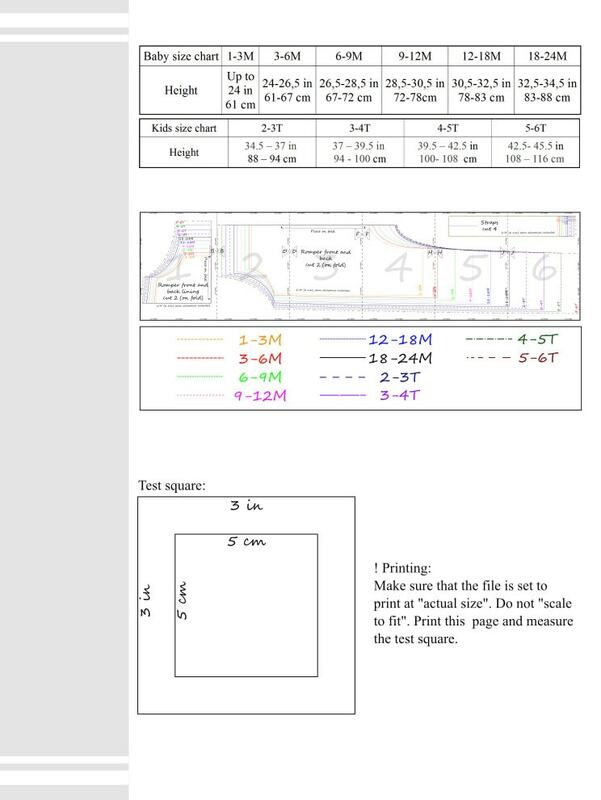 Thank you for making sewing patterns so easy to understand and use! Also not forgetting they are super affordable. 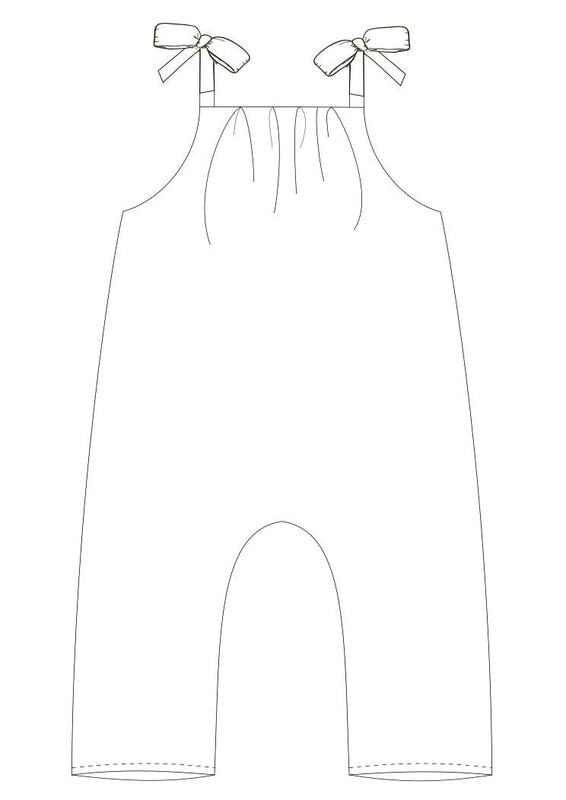 just made up this pattern and thrilled to bits. Can't wait to make more. 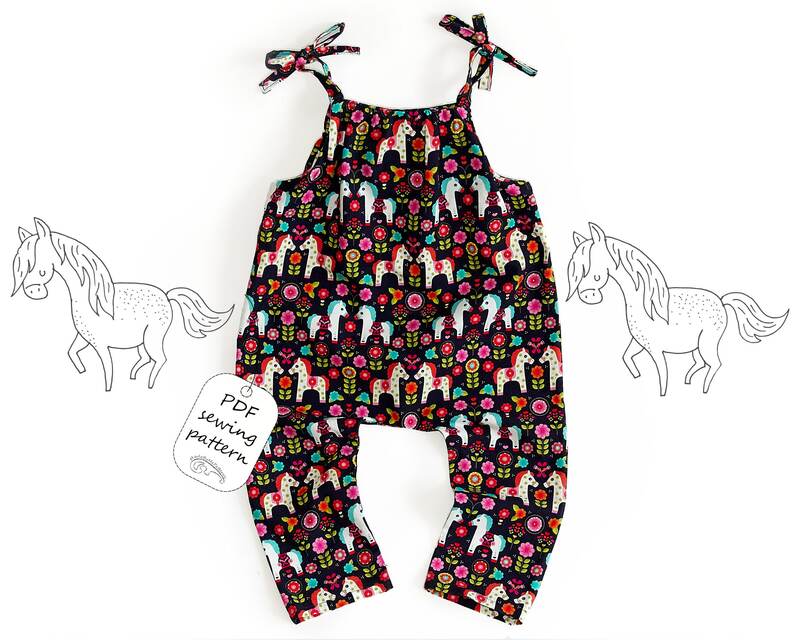 Will look at buying more, easy quick sew and good instructions.